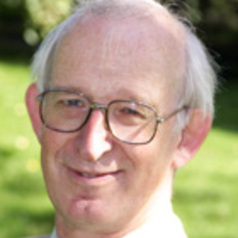 Peter is a leading UK academic figure in transport policy and economics and has specialised in issues relating to transport appraisal and to regulation and deregulation. He has a record of leadership in research grants and contracts as well as teaching in microeconomics and transport economics for undergraduates, graduate students and post-experience professionals, has supervised twenty successful graduate students to PhD level and has been Director of ITS and Dean of Faculty. On regulatory policy, Peter worked on the regulation of road haulage at both national and EU level at the time trucking was a regulated industry. With colleagues Gwilliam, Nash and Preston he conducted studies and wrote papers on the deregulation of the local bus industry both in prospect (Transport Reviews 1985) and in retrospect (Transport Reviews 1995). Recently he contributed to a large ITS study for DfT on the economics of concessionary travel in the UK and the reimbursement to operators for social obligations. Within the field of appraisal of transport projects, Peter has helped to develop the framework of cost-benefit analysis in transport, has addressed particular issues such as the valuation of travel time savings and has engaged in research on the economic impacts of infrastructure projects, the logistics benefits of road investments and the so-called wider economy impacts of transport projects. He has led ITS's work on disseminating transport appraisal methods to the user community through the World Bank Toolkit, several projects for the European Union, work for the UN Economic Commission for Europe and for the national Governments of the UK and Ireland. He has worked for the OECD and the International Transport Forum and has participated in many ITF Round Tables including in Paris, Boston and Queretaro, Mexico. Peter has contributed particularly to the development of transport appraisal in the UK through his work for the UK Government. This includes membership of the SACTRA committee which produced three influential reports on Environmental Appraisal, the Roads Generate Traffic issue and Transport and the Economy. This last report from 1999 stimulated the upswing of technical interest in how to assess the wider economy impacts of infrastructure investment. He was also a member of the academic review panel of the Eddington review into the transport sector and chaired the peer review panel of the Department for Transport's review of the New Approach to Appraisal, the NATA Refresh. He was a member of the Academic Challenge Panel set up to assist the appraisal of the High Speed 2 rail project currently being planned between London, the Midlands and the North of England. In April 2013 he was appointed to the panel of experts assisting the Airports Commission. He has been the manager of a call-off contract between ITS and the DfT under which around fifty pieces of work have been commissioned over fifteen years.